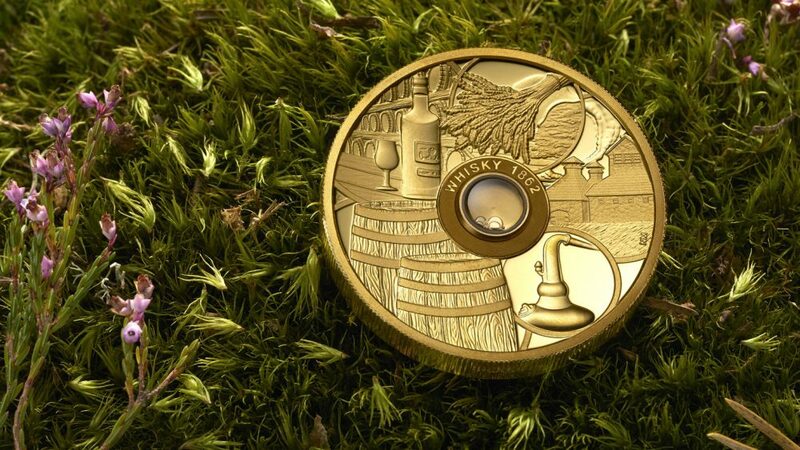 Lux Coin has released an exclusive Whisky Coin — the world’s first legal tender coin to contain the oldest vintage whisky Old Vatted Glenlivet 1862. 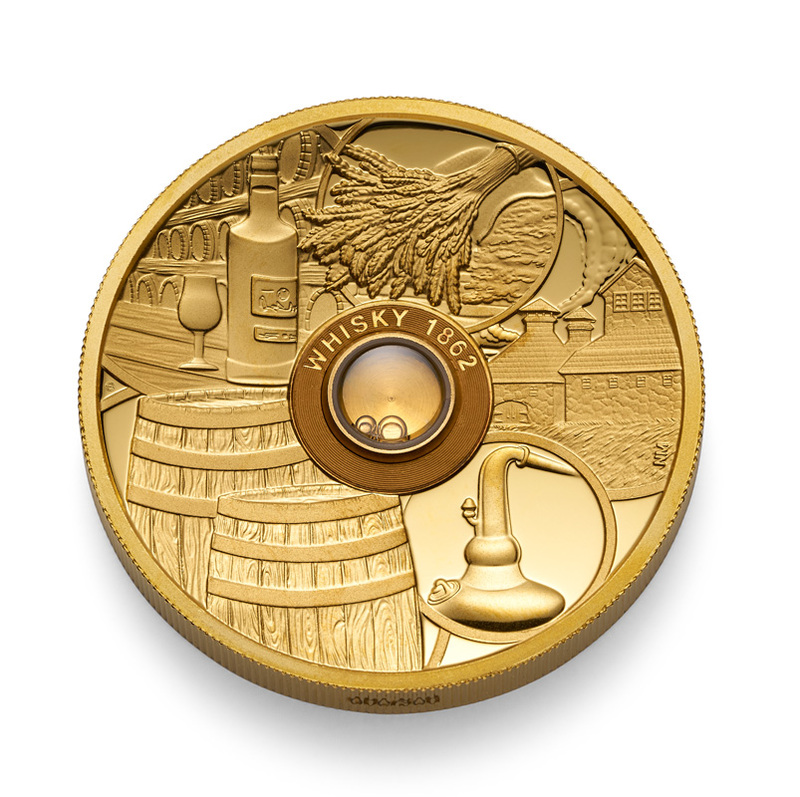 The Whisky Coin is the only coin to feature a capsule containing such a rare spirit, and the first ever to encapsulate such valuable aged liquor in precious metal of the highest quality. 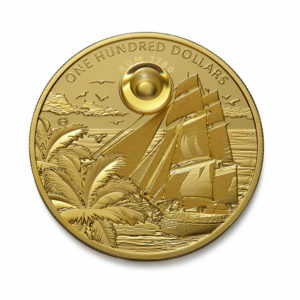 The Whisky Coin is made from 2oz of 99.99% pure gold, and this unique collectable is issued as legal tender of the Government of Tuvalu to a very limited mintage of only 300. The reverse design of the Whisky Coin features a glass inset containing Old Vatted Glenlivet 1862 Whisky encircled by sculptured representations of the whisky making process. 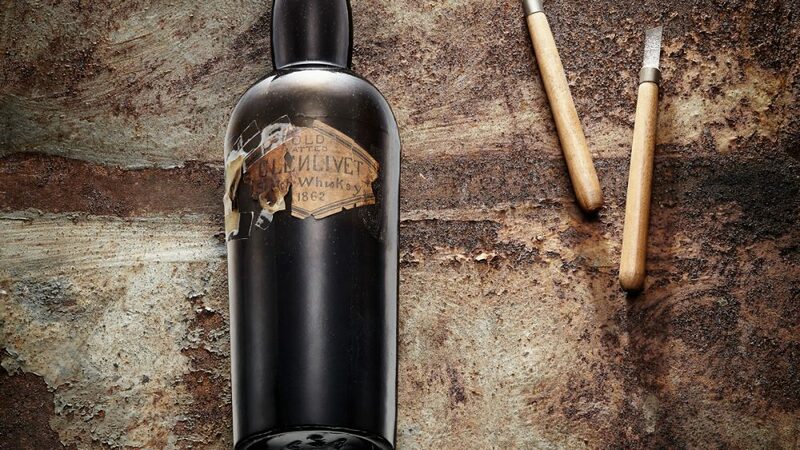 The Old Vatted Glenlivet whisky encapsulated in the coin was distilled in the Scottish Highlands in the midst of the steam age. During that time, industrialisation saw factories equipped with machinery transforming the development of countries the world over, large steamships began crossing vast oceans and networks of railways began connecting remote metropolises. 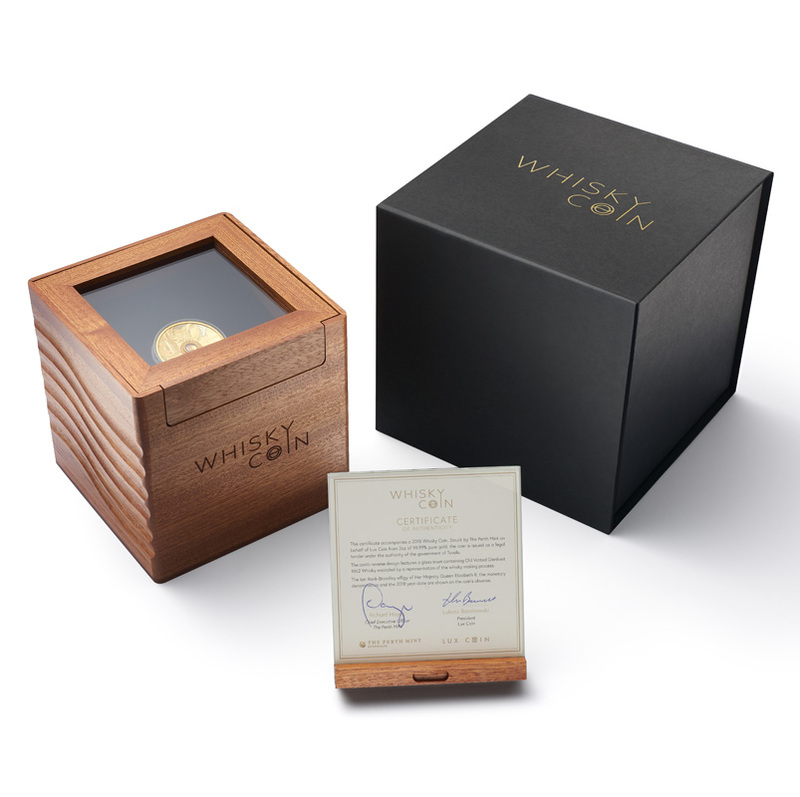 Now maintained in an extraordinary gold coin time capsule, this rare nip of vintage whisky can be treasured for generations to come. 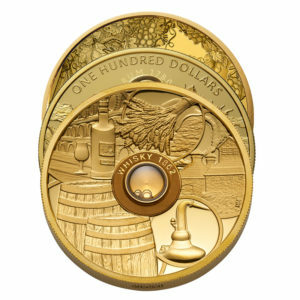 The Whisky Coin is the first of three gold coins from the new Spirit Coins series created by Lux Coin in conjunction with top mints. The Lux Coin company is a group of experts from Wealth Solutions specialising in the creation of unique bottles of rare spirits, works of art and watches for the discerning collector. They invited the internationally renowned Perth Mint to collaborate on the project and bring the creative concept to life. 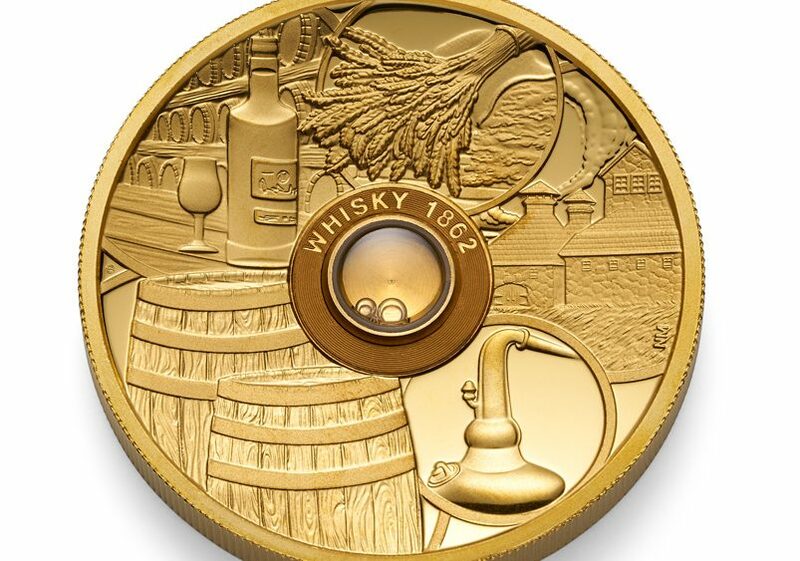 “We are delighted that the Whisky Coin was created in cooperation with the precious metals experts from The Perth Mint. 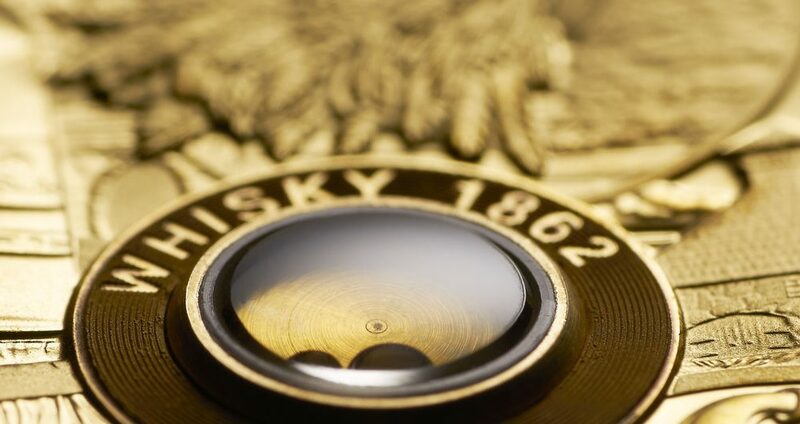 Our idea to enclose a drop of the world’s oldest whisky in a gold coin was unusual, but we stand by our motto of making the impossible possible, which worked beautifully for this project,” said Lux Coin Chief Executive Officer, Lukasz Baranowski. 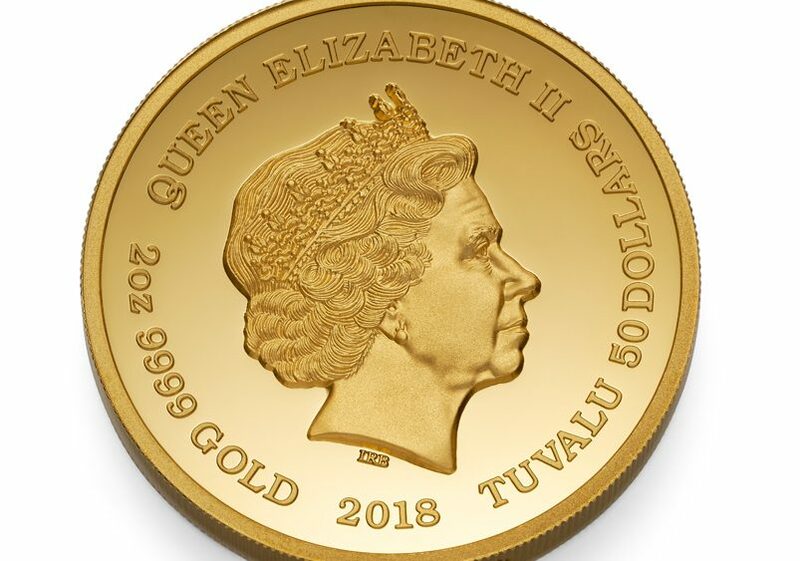 “Although we have been issuing limited edition precious metal coins for more than 30 years, this is the first time we have created a coin which features liquor or any other liquid, so it is truly a luxury collectable which is sure to have broad appeal,” said Perth Mint Chief Executive Officer, Richard Hayes. 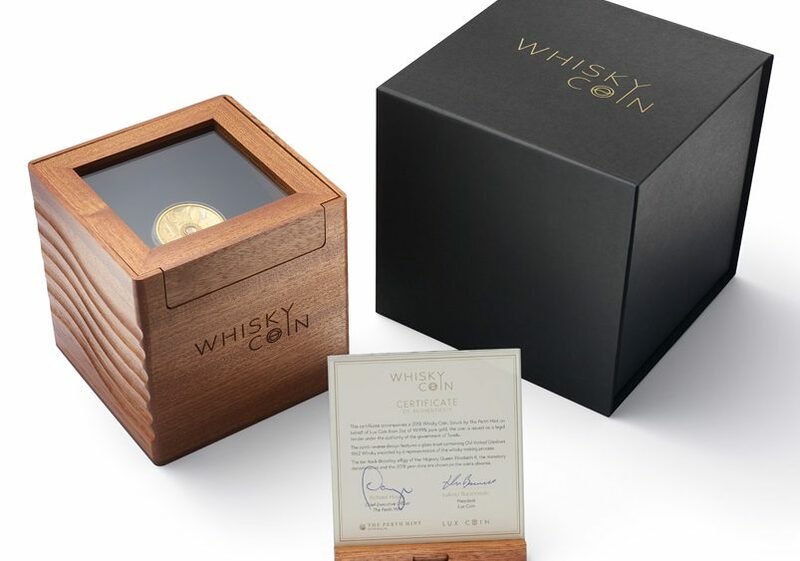 The Whisky Coin is now available for purchase from Lux Coin at www.lux-coins.com and from The Perth Mint at www.perthmint.com. 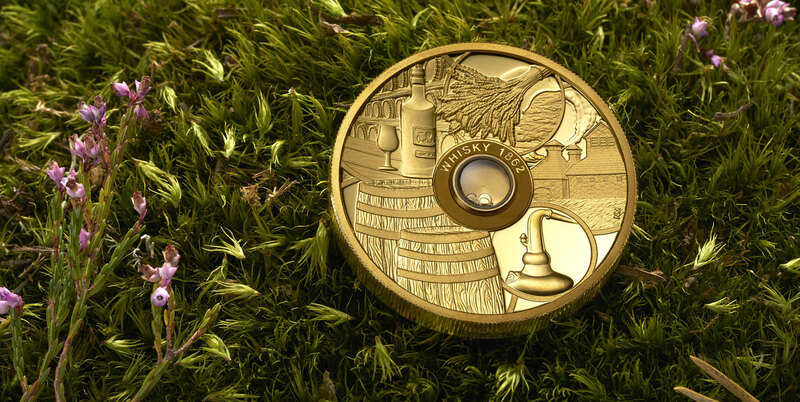 The complete Spirit Coins series will comprise the Whisky Coin, the Rum Coin and the Cognac Coin, each of which will feature rare vintage liquor. The Lux Coin company is a group of experts from Wealth Solutions with years of experience in creating unique products for collectors and enthusiasts of luxury goods all over the world. One of our team’s achievements is the creation of rare editions of liquors in cooperation with Scottish whisky distilleries and French cognac houses. 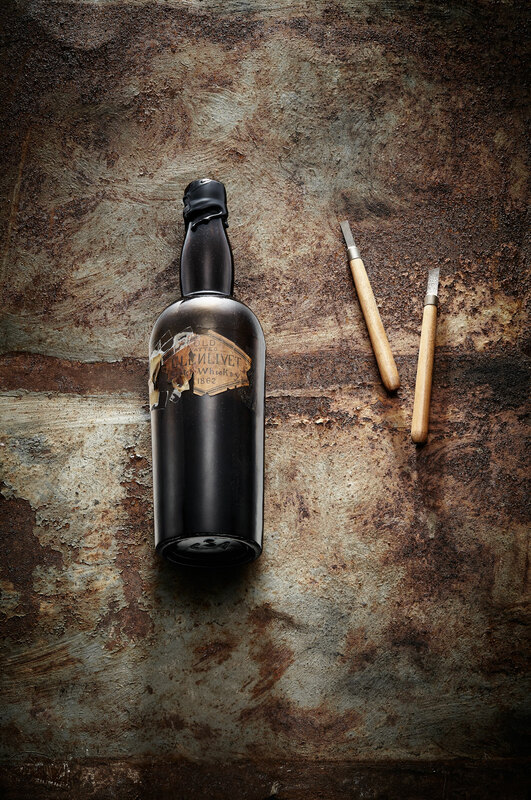 The outcome of this collaboration is bottling one of the oldest whiskies and cognacs specially for our customers. We are also the authors of the Spirit Watches – a first ever limited edition of Swiss timepieces equipped with drops of unique liquors. The project was created in partnership with top manufactures. Moreover, our portfolio consists of a limited edition fountain pens and works of the greatest contemporary artists. 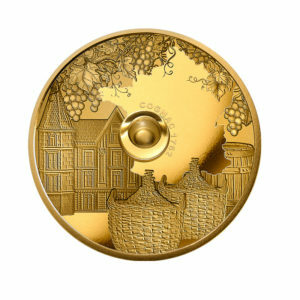 We are the authors of the collectible edition of golden Spirit Coins. This time, capsules with the oldest vintage liquors in the world become the spirit of a collectible, goldsmithery artwork for the first time in history. All the liquors used in original products come from the Wealth Solutions company’s collection. The Perth Mint is Australia’s largest and most highly accredited precious metals enterprise. Through its integrated operations and trusted products and services, it develops markets and creates demand for Australian precious metals the world over. 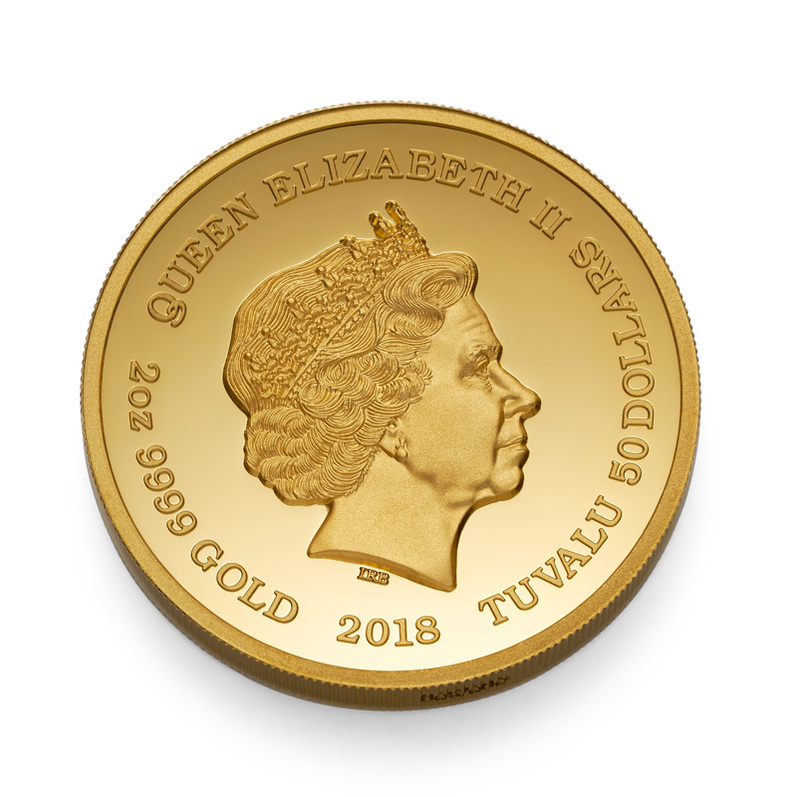 Operating the largest refinery and the only facility in Australia accredited for gold and silver by the London Bullion Market Association, the Mint holds endorsements by commodity trading centres in London, New York, Tokyo, Shanghai and Dubai. The Perth Mint exports in excess of USD14 billion worth of bullion bars and coins to institutional and private investors in more than 130 countries each year and issues an array of legal tender commemoratives for collectors. Offering the world’s only government guaranteed precious metals investment and storage program, the Mint also manages approximately USD3 billion worth of metal held on behalf of some 40,000 clients. Still operating in its original premises, founded in 1899, The Perth Mint is also a premier tourist destination and home to the Guinness Book of Records certified largest coin in the world – the Australian Kangaroo One Tonne Gold Coin, worth more than USD 40 million.